We repair v-splines on steering wheels and all general auto repair of pairs for restorers and panel beaters. 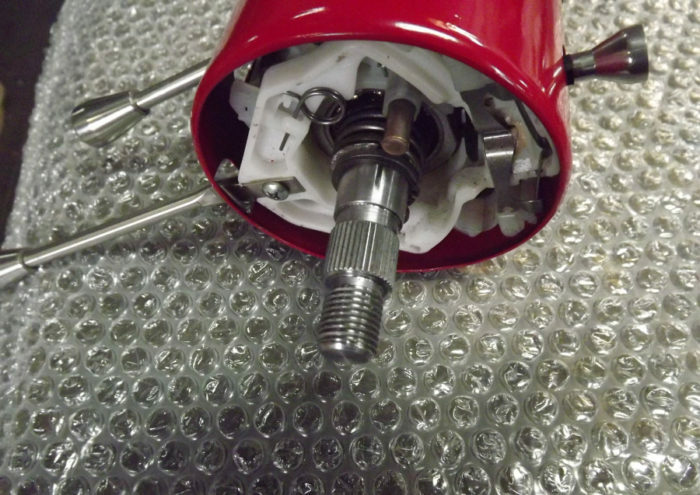 WE repair and remachine splines to match existing or another steering wheel. We can modify and repair steering wheel column parts to shorten or lengthen steering column and repair steering wheel casings. 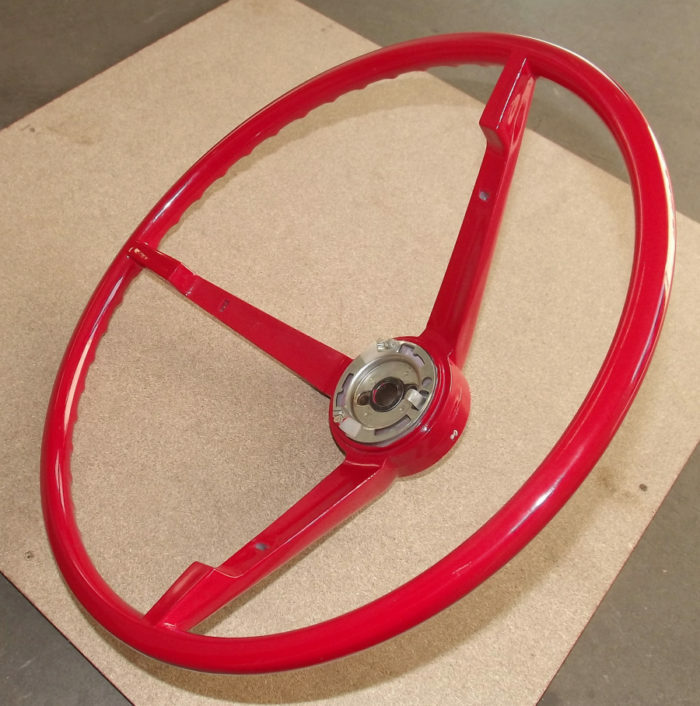 The steering wheel column below is off a 1965 ford mustang which we have resplined and remachined to suit a new steering wheel for restoration purpose.